Good condition. Contains fairy tales from all the allied forces of WWI. Introduction dated 1916. Some colored full-page illustrations with paper guard. Gosse C. B., Edmund (Intro.) 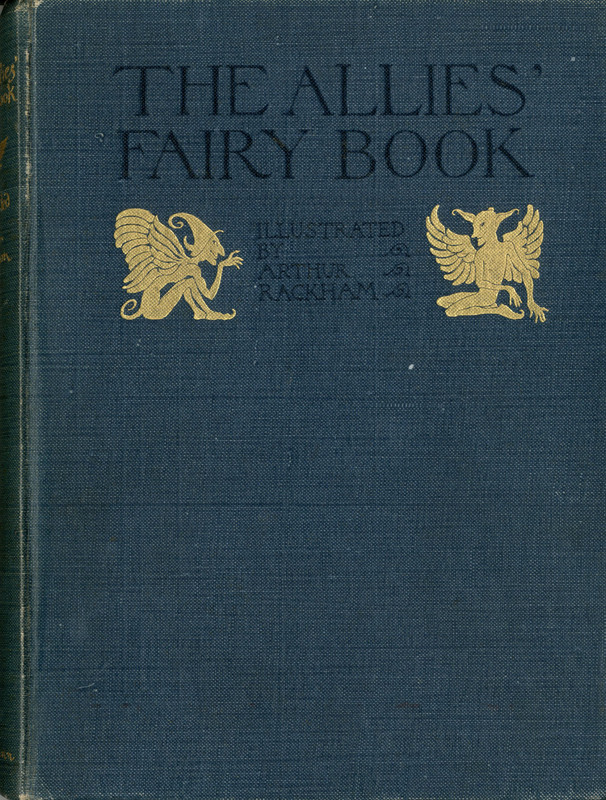 and Rackham, Arthur, 1867-1939 (Illustrator), The Allies' Fairy Book, London: William Heinemann/Philadelphia: J. B. Lippincott, [1916? ], Children's Literature Archive, accessed April 24, 2019, http://childrenslit.library.ryerson.ca/items/show/8594.